Past Energy Breakthrough participants Jason Lea and Chris Hamilton have won two of the four prize jerseys at the Santos 2019 Tour Down Under. Jason claimed the King of the Mountains jersey and Chris claiming the Best Young Rider jersey. We congratulate the two Bendigo boys who rode amazingly strong and smart races with great support from their teams! 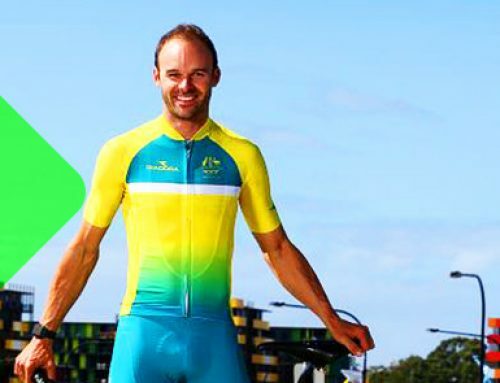 Their outstanding results come less than 12 months after the amazing gold medal performance by 2018 Commonwealth Games Mens Road Race Champion, Steele Von Hoff, who is also part of our Energy Breakthrough alumni. Chris Hamilton, who participated in the Energy Breakthrough with Bendigo Senior SC, rode a stellar race to finish 6th overall in the General Classification and claim the Best Young Rider White Jersey. In a hotly contested classification for riders under 25 years of age, Chris eventually held on to win by just 7 seconds over Ruben Guerrero from Team Katusha Alpecin. ‘Hamo’ was always in the mix for the White jersey, he even held the jersey for one stage prior the big finale on Willunga Hill in Stage Six. Stage Six was always going to be critical and all eyes were on superstar Richie Porte, to see if he could add to his tally of five consecutive stage wins on Willunga Hill. When Richie laid out his attack as the summit approached, Chris was the first to respond and follow his wheel. Whilst he couldn’t hold on to the summit (um, no one could! ), Chris hauled himself over the line to finish 6th on the stage and 6th overall. 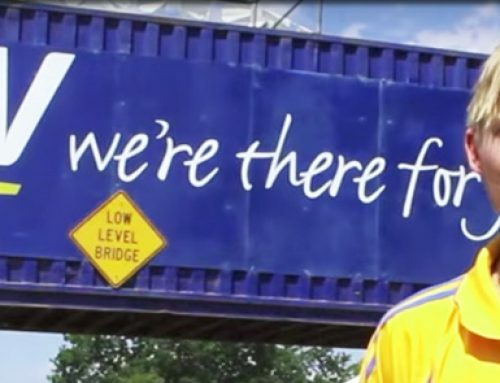 Chris Hamilton was a participant at the Energy Breakthrough at Bendigo South East SC and later Bendigo Senior Secondary College in 2011 – 2013. He was part of a memorable team that in 2012 built a vehicle on-site from scratch in Maryborough in a day was called ‘D.I.Y’. It was so good that it took line honours in the 24 hour trial Sunday. All Hail the King of the Mountains! In a perfectly and tactically executed plan, Jason took hold of the blue and white polka dot jersey of the Subaru King of the Mountains during Stage 1 and never relented. Riding for team Uni-SA, Jason claimed maximum points on Stages 1, 2 and 5. 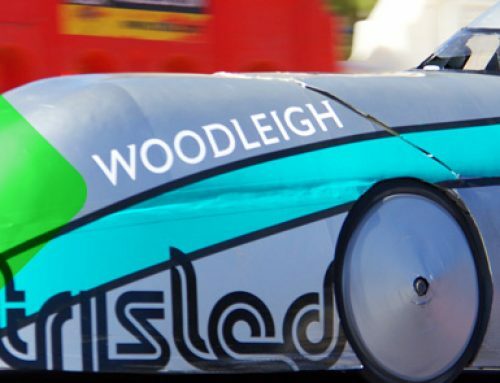 Jason told the Bendigo Advertiser in December that he initially became involved with cycling after years of competing in the Energy Breakthrough with Bendigo Senior SC, which sparked an undying passion for racing. “One thing led to another with local club races, state-level events, national events and now I’m racing overseas,” Lea told the Advertiser’s Anthony Pinda. Lea has competed in events throughout Europe, Japan, Taiwan and New Zealand and w`ill be riding with the Bridgelane Cycling team in 2019. Jason Lea participated in the Energy Breakthrough in 2011 and 2012 at Crusoe College and then Bendigo Senior Secondary College in 2013. He chose the subject going into Year 9 at Crusoe College because he’d seen some of the Human Powered Vehicles (HPVs) around the school and thought it looked fun. “At the time I loved that it felt like the closest form of motorsport that I could do as a 15 – 16 year old: sort of like a mini-Le Mans,” Jason said. It sure sounded fun, with his Year 11 team a rather humourlessly named: ‘Assault with a Quiche’. The technology inside was pretty serious stuff though: a front-wheel-drive, front-wheel-steer, carbon fibre/kevlar vehicle built by Jason and his class mates. 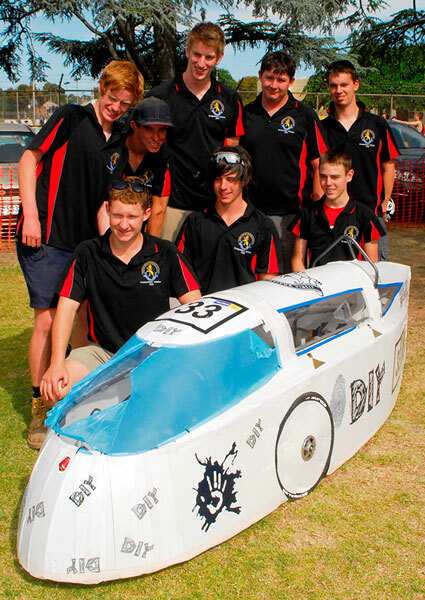 Bendigo Senior SC runs the program as a VCE level Design & Technology class. As part of this class, students are required to research, design and construct their human powered vehicle or energy efficient vehicle that they will race in the Energy Breakthrough program. During his Year 12 year in 2014, Jason’s project was to research, design in CAD and then build carbon-fibre front disc wheels for their HPV. He built the moulds, laid them all up and they went on the vehicle. But when it came time for the event he was booked for racing duties with his team in the National Road Series and he had to choose his road career over one final ride at the Energy Breakthrough. Make sure you’re enjoying it and having fun: try not to take it too seriously! Take time to make friends along the way. You never know where the Energy Breakthrough might lead you, on the engineering side or the sporting side.